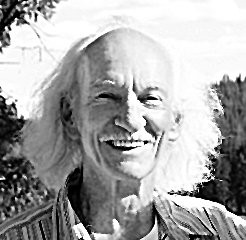 James Chisholm MacKimmie, 83, died Monday, June 11, 2012, at Kalispell Regional Medical Center. He embarked on his next journey with his wife Andrea and their dear friend Debbie Gwynn there to hold his hands. Born in Pictou, Nova Scotia, Canada, he was adopted by Winnie Hamilton MacKimmie and Robert MacKimmie. He grew up in Redlands, Calif., and graduated from the Los Angeles College of Chiropractic. Dr. Jim was a chiropractor in both California and Montana, a doctor of spiritual healing to the world, the author of Presence of Angels: A Healer’s Life, and mentor of many wonderful souls during his life. His loving, healing presence will be with us always. He is survived by his children: Marilyn MacKimmie, Robert MacKimmie, Bruce MacKimmie, Sue MacKimmie, Kim Cromer, Michelle Herndon, and seven grandchildren along with many dear friends whom he loved as his extended family. Cremation took place through Buffalo Hills Funeral Home in Kalispell. No services are planned at this time. In lieu of flowers, any donations may be made to Friends of the Shelter in Eureka.